With the Shopify tool you can follow new products from Shopify stores easily. 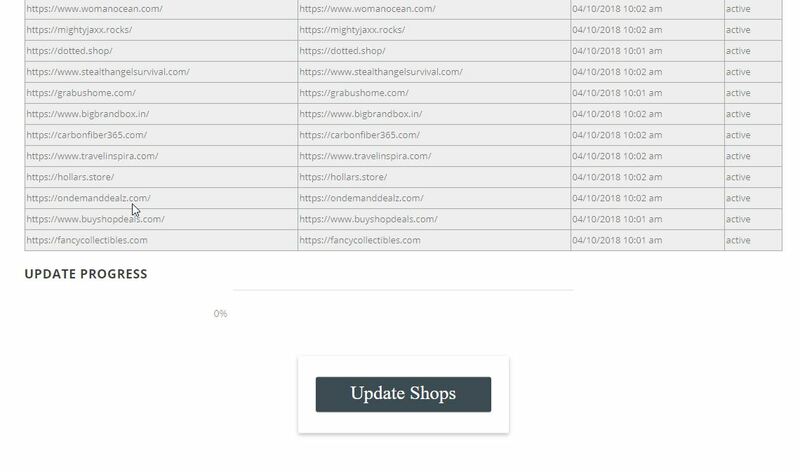 You add Shopify sites you like to the tool and update the product list. New products are than added to the overview page. There you can go through the list and mark Favorites and hide prodcuts that are not interesting. Add a list of Shopify stores that you think can help you with new product ideas. Use professional stores that know what they are doing. 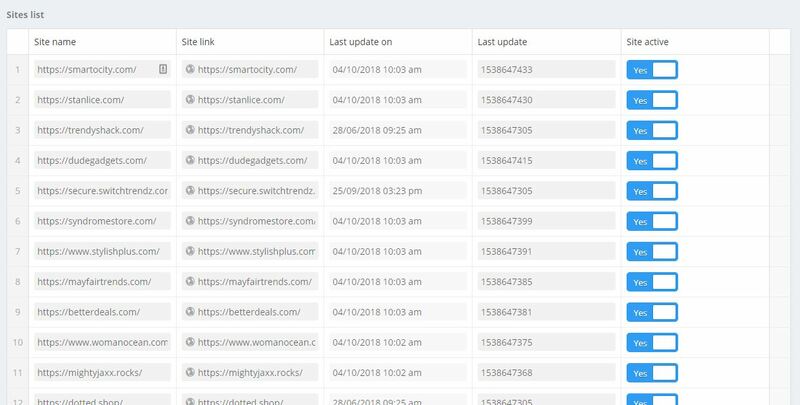 One method to do this is to check what kind of tools the Shopify store uses (the links in the image are just examples). Regularly use the update button to update the product list. This will load the new products from the different sites and put them together in a big list. The last step is to look at the product list and filter the results. 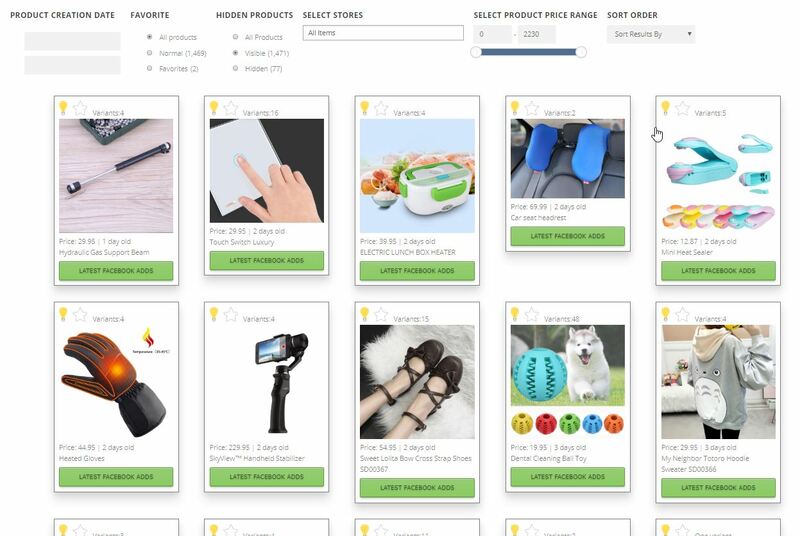 You can mark a product as favorite to collect different product ideas. Clicking on the product will load the product in the store, so you can check more details. Click on the Latest Facebook adds button to see the facebook adds from the shop that sells the product.